People have been enjoying salt baths for a *long* time. The ancient Greek physician Hippocrates (considered the founding father of modern medicine) was prescribing salt baths as a remedy for various ailments in circa 400BC. The ancient Egyptians were using dead sea salt for its health benefits as far back as 3150BC! There is no single right way for making bath salts. The main ingredients are typically a mix of rock salt or sea salt (sodium chloride), Epsom salts (magnesium sulfate), dead sea salts (composed primarily of magnesium, sodium, calcium, potassium, chloride and bromide salts), baking soda (bicarbonate of soda), and essential oils. I've seen some sites suggest that you "don't use rock salt because it will dry out your skin"...I don't agree with this advice. Rock salt is the same salt as in sea water, and I find my skin feels *wonderful* after a dip in the sea! I've also seen a recipe to make bath salts using borax as an ingredient. I really recommend that you do not use borax . Borax is a chemical used as a cleaning agent and ant poison, and slightly alarmingly, it is also used in cosmetics. Given that borax is toxic to your liver and kidneys (if ingested), I really wouldn't include it in a bath salt recipe. Especially if you have children who like to drink bath water too! 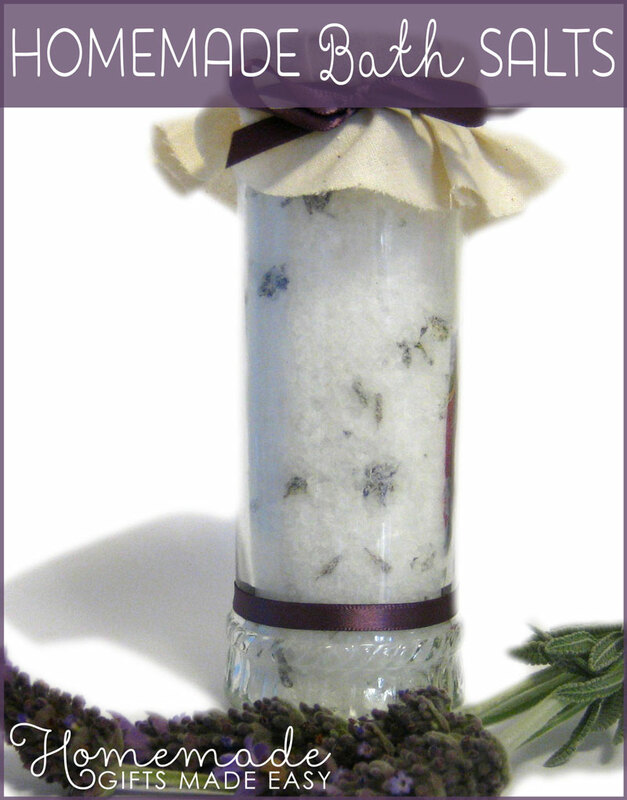 A little while back one of our readers shared her recipe for peppermint bath salts and it's been very popular. I like to store my bath salts in a glass jar (I am using an old jam jar here) as the salts tend to keep longer in glass than plastic. Store salts out of direct sunlight because it can degrade the essential oils. 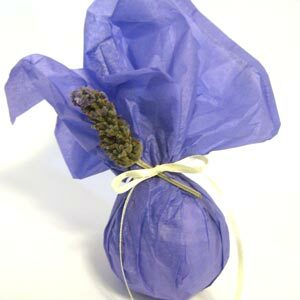 If you're making bath salts as a gift, consider packaging them as bath sachets - see my lavender crafts page for more info. Dissolve 1/2 cup of bath salts under running water, and lay back and relax! If you have used petals in your bath mixture, you may want to use plug strainer to prevent the petals from clogging up your bath. 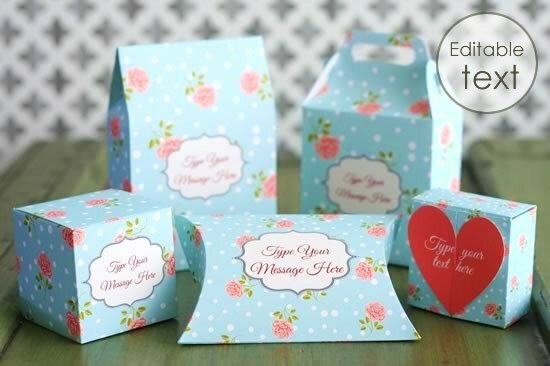 You could try packaging these bath salts in a clear plastic bag and putting them in one of our gorgeous printable gift bags or boxes . With editable labels you could use one of the above poems, or come up with your own personal message. The gift boxes and bags come in 9 beautiful patterns , and are easy to print and assemble at home - no fancy-pants craft paper required. Enjoy! Wondering what fragrances to use? I recommend Lavender and Rose essential oils as versatile scents that are liked by most people, and wonderfully aromatic in a warm bath. 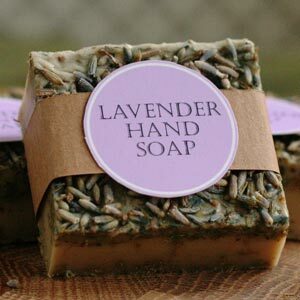 Lavender is soothing and relaxing, and many people find it helps them sleep. Rose is feminine and romantic. The part of your brain that interprets smells is right next to the part of your brain that deals with emotions. This is why scents can invoke such strong feelings and memories. And why every time I smell the sea it takes me back to holiday memories, or the smell of freshly cut grass reminds me of my days at school! Peppermint and citrus oils are more invigorating, and can help to induce a positive frame of mind to give you that "get up and go" feeling. Patchouli and Sandalwood are both darker, more masculine fragrances. Remember to check the suitability of essential oils if you are pregnant. 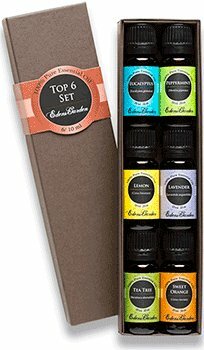 For more information on essential oils and their properties, plus advice on different fragrance blends, see my essential oil skin care guide . And take a look at the bath and body ideas in our DIY guide to natural bathroom products, including recipes for homemade shampoo, conditioner, body wash, and more! I hope you enjoyed making bath salts using my rock salt and Epsom bath salt recipe. 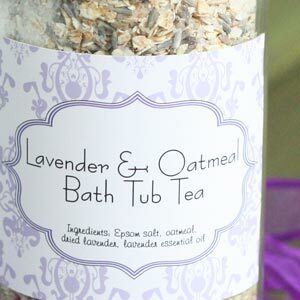 Why not also check these other lovely bath and body recipes.